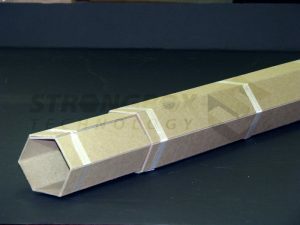 StrongBox Technology is a heavy-duty, multi-versatile box or tube that can be used in shipping applications. 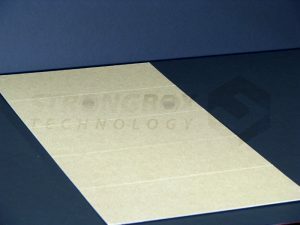 Strongbox Technology can act as a void filler, and can also be applied to walls or corners of cartons to utilize packing space and create a no-shift package. 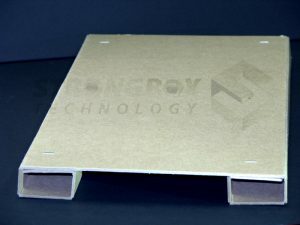 StrongBox Technology is manufactured from solid fibrous chipboard or paperboard, scored to your required panel dimensions and shipped unassembled and flat. 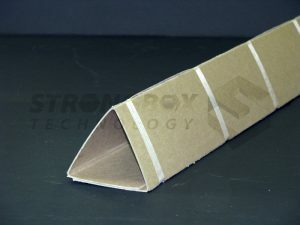 By shipping materials flat, we eliminated the costs of shipping air. 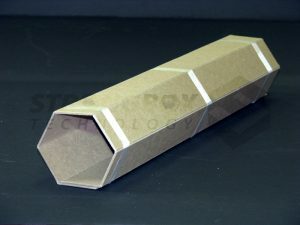 By scoring the sheet, we’re able to create a solid, foldable corner that has superior coverage and strength compared to any other current product on the market. 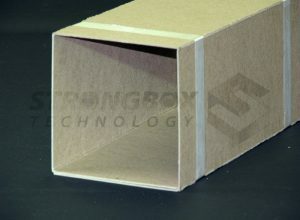 The Strongbox Technology product line is manufactured with single to multiple laminated layers of paperboard or similar substrates. 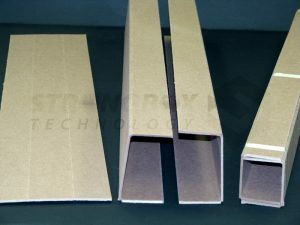 Strongbox Technology products can be manufactured up to 55” wide by 240” long and have numerous slit cuts or crush scores panels. This is a versatile product that can help secure small to large products. 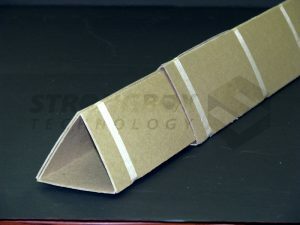 The StrongBox Technology can also utilize a telescoping feature. Telescoping StrongBoxes can help standardize and reduce the sizes and variations of boxes you keep in inventory. 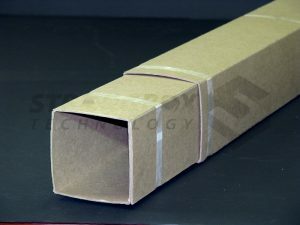 Telescoping StrongBoxes create a universal box that can fit your shortest as well as your longest product. Scoring widths can range from .75”-55”.